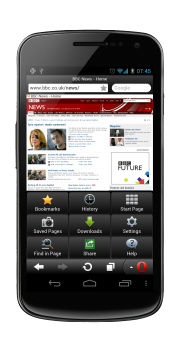 Opera says that more than 168 million people -- many of them "young and innovative," according to market research -- used the Opera Mini mobile web browser in March. With Mini in hand, Facebook could vastly expand its reach into mobile. It could also mine more information about users even when they're not on Facebook. Whether any such purchase of Opera by Facebook is imminent is pure speculation, but if it happens Google had better look out. Apple might worry too. The Opera TV Store with its TV apps, and the Opera TV browser, optimized for Linux and Android based TVs, set-top boxes and media players, if joined with Facebook's deep pockets and reach, could mean the social network would be able to make a play for reaching people with a web experience on TVs in their living rooms as well. There has certainly been a lot of buzz about the possibility lately. PocketLint reports that "one of its trusted sources" says Facebook is interested in buying Opera Software, the company behind the Opera web browser. Lending credence to the rumor, The Next Web says "a very solid source" says Opera Software is talking to potential buyers and that there's currently a hiring freeze at Opera, an indication something significant may be in the works. Such an acquisition, if it happens, would make perfect sense for Facebook. CEO Mark Zuckerberg has assured investors that his top priorities this year are to transform Facebook's mobile and advertising experiences; bringing the Opera web browser into its fold would help make that happen. Yet many Opera users aren't happy about the idea of Facebook gobbling up their beloved browser. Since the rumors surfaced many of them have been howling about the idea in online forums. 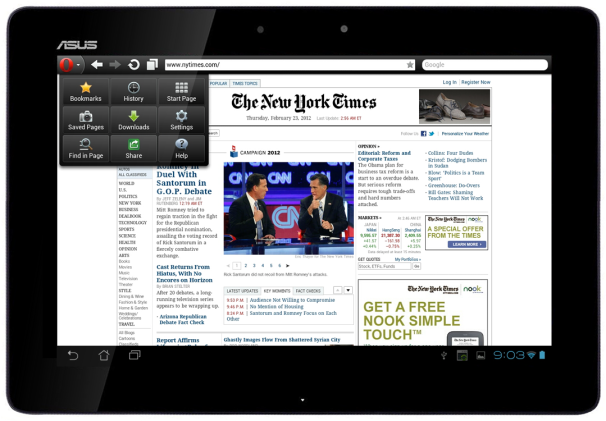 As PCWorld’s John P. Mello, Jr. points out, Opera has been ambitious in a crowded industry. Last December, it purchased two mobile advertising companies, Mobile Theory and 4th Screen Advertising, to improve its position in the U.S. and European mobile advertising markets. "Since its arrival on the browser scene in 1994, Opera has introduced innovations that browser users take for granted today, such as tabs, the integrated search bar and pop-up blocking. It also introduced server-side web page compression, a controversial feature later incorporated into Silk, the web browser found on the Amazon Kindle Fire," he writes.